Hello! Welcome to Bark Busters Des Moines / Bark Busters Central Iowa. 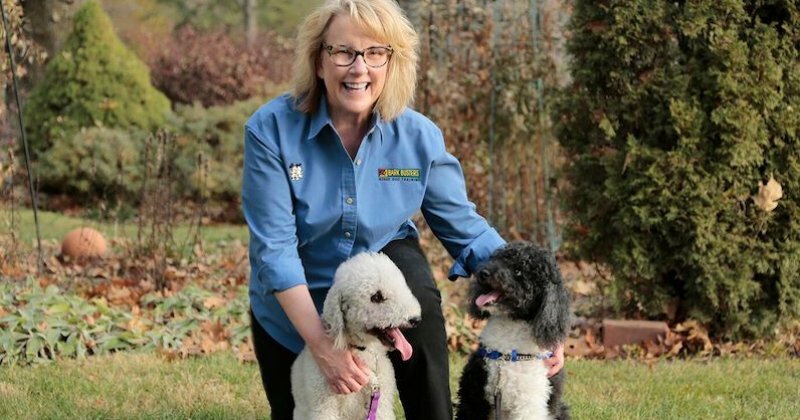 My name is Deb Boswell – I have trained over 2,000 dogs the Bark Busters way on the local level and have helped fix every imaginable issue dog owners encounter. If you’re like me, your dog means the world to you. Maybe he’s 95% awesome but it’s that 5% that makes life a challenge. I can guide you to the dog of your dreams in the dog you already have! Please read on to get a better feel for what Bark Busters Home Dog Training is all about! What if I told you that most of my dog behavior clients see positive changes by the end of the first 2-3 hour lesson? It happens all the time! 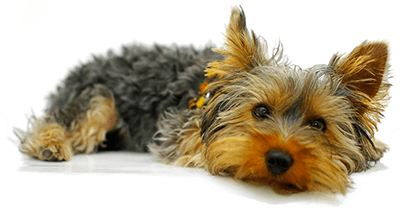 With minor tweaking on the home front, most clients are well on their way to a well-behaved dog in a matter of days. Whether you have an 8-week-old puppy or a 12-year-old Great Dane, I will solve your problems. ANY age • ANY breed • ANY issue. My whole-dog, natural approach is customized to the needs of each client and dog! Bark Busters trains in your home because that is where most of the problem behaviors happen – not in a classroom with 10 other dogs. All of the solutions that I give you are proven effective in real life situations. I love helping dog owners learn how to communicate and read their dog and seeing their amazement when the dog they felt was beyond help, begins to understand what their human wants. The once “stubborn” pup is suddenly responding and eager to please. “Deb has been an absolute game-changer for our dog and some of his worst behaviors- pulling on the leash, reactivity to other dogs. She has helped us reclaim our authority and given us confidence in managing our pitbull mix. I was obviously very hesitant to spend this much money but other training classes and methods just weren't getting the job done. BarkBusters has definitely been worth the money." Customized program – your schedule, your goals, 100% focus on YOUR dog. Uses a simple, efficient yet powerful method based on canine thinking and communication. All training is done in your home / neighborhood / location of the problem behavior with fast results. Free ongoing support for the life of your dog! The help you need doesn’t expire at the end of a set time or number of lessons. Help is always a phone call away! Non-physical approach allows your dog to learn appropriate behavior in a positive way. No clicker or treat training or dominance. I coach you to train your dog. This training/growth process will enrich the bond between you and your dog(s). Bond, trust and respect are the foundation of a stable relationship and a happy, calm dog! The approach I teach you is “less is more”. You will learn how to make your dog feel secure in your decisions and, in seeing you as the decision-maker, your dog will start to be calmer. Bark Busters International was founded over 29 years ago in Australia and is now the largest in-home dog training company in the world. As such, each trainer is backed by the knowledge base of hundreds of fellow trainers. Visit my Dog Training Des moines website. Click below to view what clients have to say! Fear of people, dogs, objects, sounds, etc. I have owned Bark Busters of Greater Des Moines since October of 2007. I have a bachelors and master’s degrees in journalism. I followed my dream to help dog owners have a more rewarding relationship with their dog. I am a Certified Professional Dog Trainer - Knowledge Assessed [CPDT-KA] that requires a specified experience level, recommendations from veterinarians and clients simply to be allowed to sit for a grueling 4-hour exam. I can help your family have a well-behaved family companion. Call today.